Is there anything better than celebrating the holidays with the ones that you love? It is no surprise that the holiday season is also engagement season and we are happy to announce that we are having a morganite engagement ring sale for this very reason! From today until December 12 we will be offering an additional 15% off of all of our rose gold engagement rings with morganite when you use coupon code LOVEPINK during checkout. 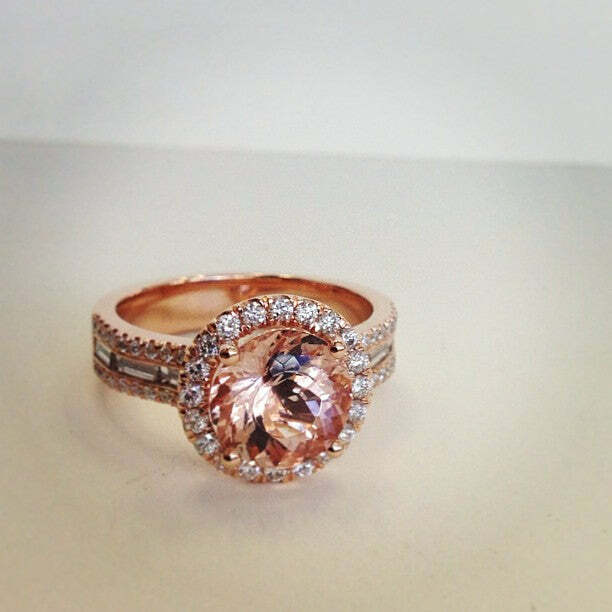 Rose gold has been the most popular choice for engagement rings this year and it is easy to see why. Morganite is also referred to as “pink emerald”, “cesian beryl”, “rose beryl”, or “pink beryl”. Morganite ranges in colors from light pink to rose. The larger that the gemstone is, the more intense the color becomes. The New York Academy of Sciences named pink beryl “morganite” after J.P. Morgan, the American financier. J.P. Morgan was also an avid gem collector, and is arguably one of the most important gem collectors from the USA. Elaine did a wonderful blog post a several months ago, in which she discussed the history of morganite more in depth. 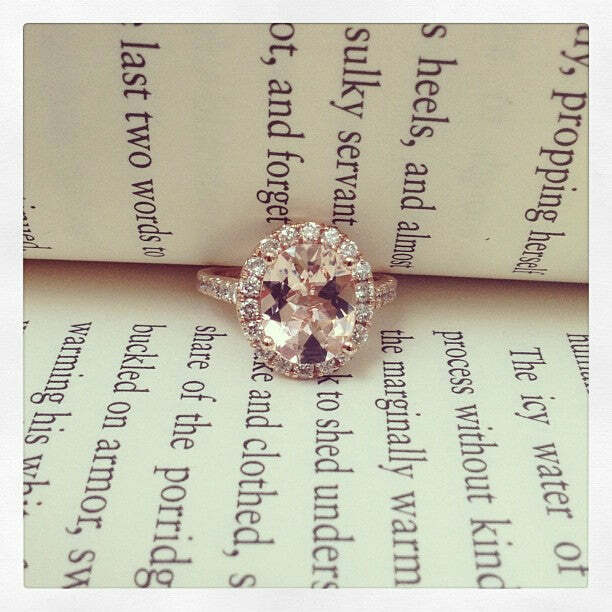 Morganite is known as the stone as divine love, which makes it the perfect center gemstone of any engagement ring. We feel that he rose gold settings enhance the warm hues of the stone. If you would like assistance from any of our jewelry experts or GIA graduate gemologists, please do not hesitate to contact us. Each ring is made to order especially for your marriage proposal and your special moment.